← “Micro-Rise” Bread in 60 minutes. Really? 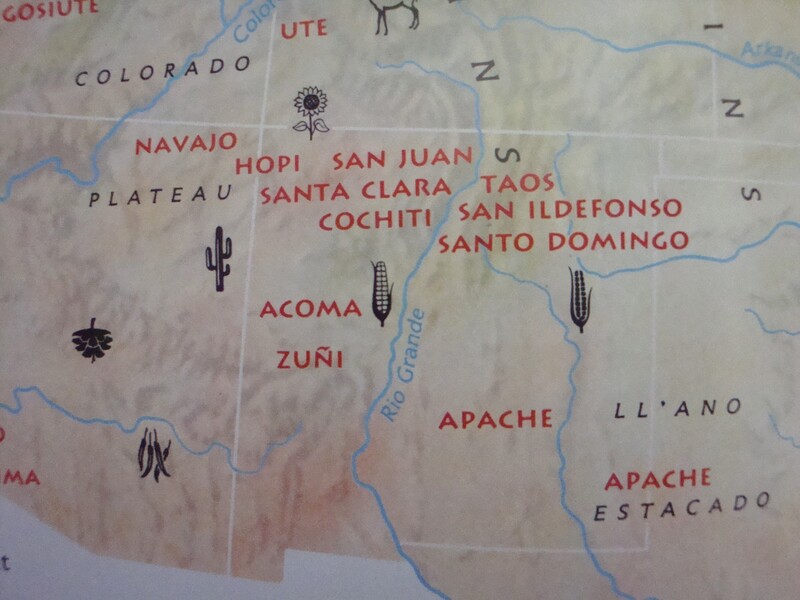 The Navajo Nation occupies northeast Arizona, northwest New Mexico, and a small portion of Utah. In 2011, approximately 109,000 Navajo inhabited the northwest corner of New Mexico and the Navajo Nation is spread out over 27,000 square miles. The portion of the Navajo Nation in New Mexico is one of the most arid and barren areas of the region. In 1864, the United States government forced the Navajos to walk up to 13 miles a day at gunpoint, from their reservation (which is now Arizona) into eastern New Mexico. This 300 mile journey became known as “The Long Walk”, and the Navajo were forced onto lands, which were inhospitable to their traditional staple foods of vegetables, corn and beans. Navajo Fry Bread stems from that time. Dah diníilghaazh means Fry Bread or the process of making Fry Bread. In order to prevent the indigenous population from starving, the government gave them white flour, processed sugar and lard – the beginning of the makings of Navajo Fry Bread. Fry Bread is really fried dough, however, to many of the Navajo, it is revered as a symbol of Native pride. 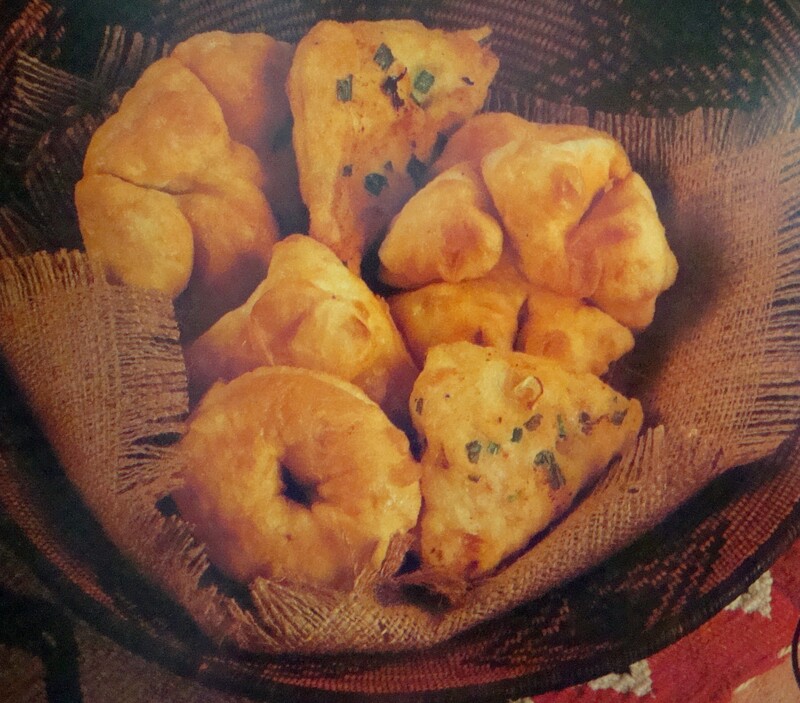 In a wonderful cookbook I have, “Spirit of the Harvest – North American Indian Cooking” by Beverly Cox and Martin Jacobs, published in 1991, there is a recipe for Navajo Fry Bread. As the authors note, Fry Bread is served at powwows, rendezvous and many other Native American gatherings. This basic Fry Bread recipe comes from Helen Begay, a Navajo of the Naakai Dinee clan (maternal) and the Ashiihi Clan (paternal). In a mixing bowl, combine all ingredients except the oil and knead until smooth. Rub oil or shortening over dough. Cover and let sit for 30 minutes. Pat or roll out enough dough to fit in the palm of your hand in a circle about 1/8 inch thick and deep fry in the hot oil or shortening. Usually, the Fry Bread is a little larger than the size of your hand. Makes 10 to 12 Fry Breads. Variations include savoury versions with chopped onions and chiles mixed into the dough. The recipe above, however, is usually served with honey or powdered sugar. Within the Navajo Nation lands in New Mexico is the stunning Bisti/De-Na-Zin Wilderness, the remnants of an ancient sea, which covered New Mexico 70 million years ago (hard to believe that now!). “Bisti” is from the Navajo word “Bistahi”, which means “among the adobe formations”. Sandstone, mudstone, shale and coal gradually eroded over millions of years to leave the mysterious and ghostly formations in this fascinating wilderness. Hiking through this desolate landscape, the only apparent signs of life are the occasional lizard or snake, and eagles soaring overhead. “The Long Walk” is ancient history now, but it has taken years for the Native Americans to regain what was theirs. The spirit of the Navajo is alive and well and enriches the culture of the Southwest with it’s traditions, legends and food. Cookbook lover and collector with a burgeoning collection of cookbooks. Reading and researching food trends, history of cooking techniques and technological advances in cooking, what we eat and why and cookbooks as reflectors of cultures is a fascination for me. As of November 7th, 2013, I hold the current Guinness World Record title for the largest collection of cookbooks: 2,970 at the official count on July 14th, 2013 (applaud now, thank you very much!) The current (unofficial) number is now 6,500. What next? More shelves? 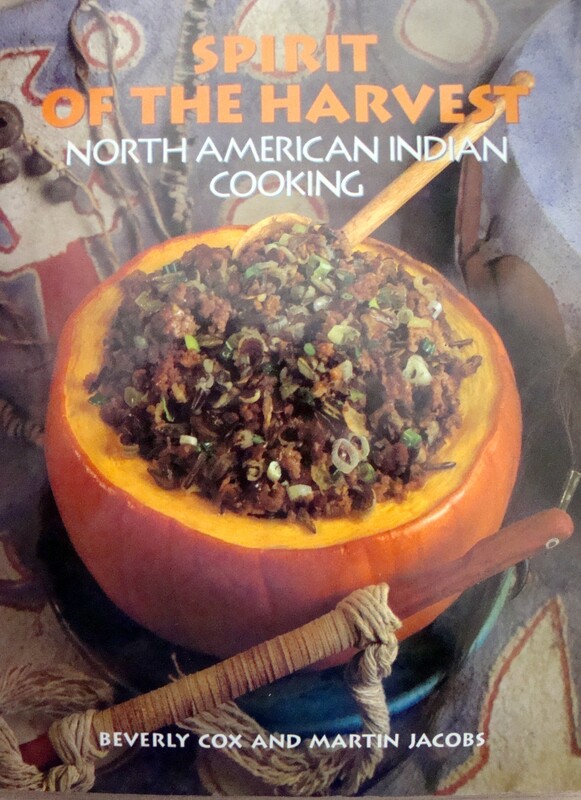 This entry was posted in Cookbooks, Cooking, Cooking and Social History, Eating, Native American Cuisine, Recipes, Uncategorized and tagged Bisti Badlands, cookbooks, De Na Zin Wilderness, Navajo Fry Bread, Navajo Nation, New Mexico, Shiprock, social history, Southwest, Sue Jimenez, The Long Walk, time capsules. Bookmark the permalink. They are similar, but the Mexican sopaipillas typically have a leavening agent in them, usually baking powder, although I have seen some that use yeast. Also, sopaipillas are usually turned once, while frying and I think this is what gives them their little “pillow” shapes. Thanks for your comment! These seems similar to Mexican sopapillas. I wonder how they are related.